Some of those things might seem like a joke to you, but if we are being honest there are people who will not like the game and it is purely because of those reasons. If you are being honest with yourself you might want to not get this game if any of those things are things you do not like, as you will not enjoy yourself. First difficulty spikes, meaning game is hard and if you haven’t built your champions right, or at least attempted to build them right, you will find battles that are impossible for you to win. You will find you are doing well and then get smashed in an ambush by robot chickens, battles that even if you are building your champions perfectly, the way you enter the battle and what you do in the battle can drastically change a battle from being easy to impossible. If this sort of thing bothers you, you like being able to pick up a bow and arrow and never change tactics once or have to rethink a battle plan (Skyrim, Dragon Age Inquisition, etc) than you will not like this game. Learn as you play is another big one, sure there is a mini tutorial but that is just that, a mini that gives you the basics of movement and doesn’t even touch combat or crafting or smithing or any of the other hugely deep aspects of the game. The journal is weak and the teaching is even weaker, most of what you learn comes as you learn the world and the game- getting a good walkthrough could be helpful for your first play through. There is a lot of reading in this game period. Do people hate reading? Do people put TL:DR up now for these people? This game has a lot of reading, if you can’t read or hate doing it you will find yourself lost, a lot. There are riddles, most of them involve reading in order to solve. Turn based tactical combat is also a turn off for a lot of people, it isn’t fast paced madness with button mashing a plenty. You have to be honest with yourself, if you are not the thinker when it comes to video games you will not enjoy this game; avoid and save yourself the frustration! This game was amazing because if you did enjoy one of the above listed items (and don’t dislike the items listed before) you would say overall that you enjoyed your experience. 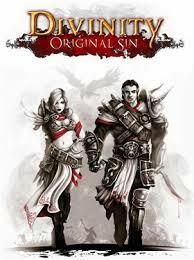 This however is also the curse of Divinity Original Sin, as nothing seemed to be perfect or flow together well. Meaning you did one thing and had to stop everything to learn how to do another, everything in the game felt boxed in and not connected to the others, and nothing felt “mastered”. It is like they hired six people to do the game play and sat them down and said “you will do crafting, you T.B.T.C., you will do the R.P.G elements and conversations, etc etc” and they were lucky because a lot of these items NATURALLY go together in a game like this, but nothing was polished and everything felt slightly boxed. Meaning you could beat an entire game without even touching one of the above mentioned to one degree or another, they were there in the game to enjoy and discover but not “necessary” to discover the world. This will leave many, and by that I mean MANY, leaving feeling the game was enjoyable and would recommend but would also say was not “epic” in any one area, that is unless they played co-op. This was and is to date the best attempt at a tactical turn based rpg co-op experience. Could it be better? Yes, of course, but no one has honestly really even attempted so for a first attempt in the history books this game is phenomenal. This is the one thing that sets this game apart and gives it a spotlight. The dual processing world opens up possibilities that have never been available before; if you are in combat it goes into turn based (enemies included, they can be fighting off in the distance) but if you are not (or your partner is not) you will be running around at will until you do entire battle at which time you will be added to the ‘turn queue’. This is brilliant for anyone familiar with the genre, absolutely brilliant, this opens up worlds of possibilities for games such as XCOM, and many others who wish to add co-op game play but also want to retain their tactical turned based combat. The game isn’t huge and the replay value is up in the air. Many will play it many times as others possibly a couple times. You would have to play the game a half dozen times before you really could call the game a time sink and currently I don’t see that as a real possibility. The end game doesn’t exist, when it ends the game is over, and currently the studio is working on two other games so real DLC/expansions don’t appear to be on the table. With that said, this is another thing this game suffers from greatly- pacing and end game. Just when you start to figure out crafting and get your loot/gear to a point where you are starting to understand it/ like the way you look the game ends; slightly disappointing, and not because of the final boss, that was actually decent, it was the “that gear was only good for ONE battle? !” kind of disappointment. The game is only on the pc, so the controls have been mastered. There really isn’t anything confusing or off with this in the slightest. You have a mouse and a keyboard you will have no problem controlling your champions. There are “user error” issues related to clicking to attack someone and ending up clicking on the ground beside them and running right beside them, this is negated over time and you get better at not doing user errors but is frustrating early on- they could have added some control feature (hold shift and click?) where it was ONLY meant for an attack on an enemy and wouldn’t move your champion? This is the only thing I could see, and it would just be for a more user friendly experience, the controls do work as it stands. Ran game ultra and didn’t lag or drop once. Loading screens were ridiculously fast. Nothing to complain about here in the slightest for anyone with a pc that isn’t a toaster. Gorgeous world, somewhat small, but gorgeous. The armor and items you could put on your champions were fantastic! You actually looked like someone going into battle, not going to a party (I can’t for the life of me understand the armor/clothing choices for games like Dragon Age Inquisition) and there are times where you will be zooming in on your champions just to strut your stuff. For this style of game, it took so little juice from my system and delivered a breathtaking world that didn’t disappoint. Story was unique (to a degree) and cliché (to a degree) and the development and pacing was terrible. The story wasn’t good enough to play for the story alone (Diablo style) but the game also didn’t have an end game so it just ‘ended’. If the game looped like Diablo did where you could replay the game from the start with your champions at their level and go from normal to nightmare to hell this game would have been epic. The problem is that they took to best from a lot of different worlds (they really tried to take a lot from the Diablo II world) but didn’t master those worlds or even bring them in completion to this game, ie. Pacing the game like a Diablo game but not letting you play the game over again with the same champions- this make the items you build and improve useful and not just good for one battle. As it stand this was one of the large problems in the game, and the rest of the story basically being a book for you to read; many will hate that. Nothing like this on the market anymore unless you want to go back at least 5+ years and deal with outdated graphics, simple as that. Once again, the very definition of evolving gameplay. Some might not even notice and get really frustrated when their piercing weapons don’t seem to be damaging the undead or why their crushing weapons are doing crazy amounts of damage to the same undead; this is evolving gameplay. Who you are fighting and how you are fighting them determines who wins the battle. Fire, earth, air, and water are in the game and yes they do counter each other and yes earth elementals are immune to earth. You can’t poison the undead, you can’t charm a rock, etc etc. Every battle is different and every battle should be fought someone differently or you will find battles impossibly difficult. Evolve or die and love every minute of it. Another huge flaw in the game; a blaring lack of voice actors and repeating phrasing. Some of it is fun at first, but having to listen to “now where is my pepper, did it sprout legs and run away? Ah, there it is… sneeze*” (most likely even written in the voice actors book just like that) every single time you waypoint portal yourself back to town will get old really fast. This might even kill replay value as having to hear these things again might drive one over the edge. There are some great voice acting (Jack’s dog) and actually some amazing songs that are played while you adventure, but overall a failure that needs to be addressed in future titles. Think Diablo, everything of importance is voice acted and no annoying repeating dialogues in town; that would have been enough. Much like Banished did, they took a lot of the best from a lot of different titles but didn’t master any of them (which is odd, since Diablo II mastered the randomized loot and no one has even stolen it since? White items had a purpose, blue items had a purpose, green items had a purpose, and gold items all had a purpose- every game since white items are worthless, blue are worthless, green are worthless, and gold you will pick up- stupid!) or bring anything new to the scene. You will recognize a lot of the features in this game in other games that you played, and in most cases those other games did a better job at doing it; the problem is that most of those other games only had that one feature (for example Diablo it was the loot system as it’s storyline was weak, Baldur’s Gate it was the storyline as the loot system was weak) while Divinity Original Sin has many features. People seem to overlook “next gen” or “mastery over an aspect of gaming” for “some of all”. If you enjoy co-op or want to see it in the future of gaming this game has done more for that and you than any other tactical turn based RPG in the history of the genre. This game has pushed the boundaries and opened up a new world of co-op experience that doesn’t center on cheap MMO style gameplay, but actual real depth and gameplay. This is the best attempt at a real co-op experience in the genre period. 1. Loot from Diablo: no loot system has been more beloved than that of Diablo II, PERIOD. Games have tried to implement this since and have failed at every attempt (including Diablo III) and it is frankly stunning as all you would have to do is just replicate it… Regardless, all items in Diablo II had a real purpose, white items with runes could/were some of the best in the game, blue items had the highest DPS in the game, green items when in completed or half completed sets were some of the best in the game, and gold/legendary items were some of the best in the game. Bottom line is that every item had a real purpose, the loot system was frankly mastered. Every game since (Torchlight II being the worst thing I have seen) has gone with the mentality of “throw a thousand blue, green, purple, gold, wtf ever at them and 99% of it is totally worthless”, this game is no different. White is worthless, blue is worthless, green even becomes worthless mid game, and gold is all you wear. This is unsatisfying and confusing to others who would rather have the mindless “this is the best paladin sword in the game and I know where to get it every single play through” that Baldur’s Gate brings. It is done well enough in this game that people will enjoy it but not done right enough for it to be a selling feature like Diablo II. 2. Companions from Baldur’s Gate: now don’t get me wrong, I personally actually preferred making my entire party (Icewind Dale) than that of pre-made champions, the reason being that people might hate certain NPC’s but have to use them because they are frankly the best, and it is almost impossible for games like that to not fall into the same trap- certain npc’s are frankly just ‘better’ than others so they always get used and others get benched. People however can and will overlook that if the characters have story and add to the overall arc. In Baldur’s Gate it was “ok” because people enjoyed the fully voiced and storied followers that were a part of the overall arc- some of which you could even romance. Divinity Original Sin gives you four unique followers and a couple dozen other “less unique” followers that you can hire and that is it; meaning you cannot create a full party. This means you have to add soul and story to the ones in the game or honestly what is the point in not just allowing people to create their own unique followers? Divinity however does not do this, the followers you can hire are apparently ‘backers’ of the game to some degree or other and 98% of them are specked to utter worthlessness and have zero story or voice acting whatsoever. The other four “more unique” champions have a single quest that you may do with them (very small), a small amount of voice acting to compliment them, and two of them are specked to ALMOST totally worthlessness. This means that in all honesty 98% of the usable followers are worthless and you only ever end up using two of them. What this creates is a companion scenario that looks and feels like a Baldur’s Gate game but fails at delivery that. Going with a full party creation of Icewind Dale or going with a “not so unique” hireling set up like Diablo II (you can hire single handed shield wielding legionnaires in the first city, two handed knights in another, rangers in the forest, etc etc) people wouldn’t expect the companions to breathe life into the game and they wouldn’t compare this game to games like Baldur’s Gate. You lock our choices of companions you better as hell deliver or you will have upset people. The two characters that you get to create, or one if you are playing coop, are done to perfection however. How they look, how they act, character classes are not “locked down paths” but wide open for adaptation, this is actually done BETTER than Baldur’s Gate. So once again what you are left with is a split where they do enough to force you to compare the games companions to Baldur’s Gate but not enough to master it or be a selling feature like it was in Baldur’s Gate. 3. Crafting from Skyrim: Forge to build items, grindstone to increase weapon damage (including bows) an armory bench to increase armor rating= Skyrim; simple effective system with room to grow within. Divinity Original Sin has anvils, forges, elemental forges, axes, maces, grindstones, and even more items involved in their extremely confusing and none explanatory crafting system. If you delve into reading every book you find (and I mean actually reading them) and/or find a guide and have the patience the crafting in the game can and will be rewarding, but the way it is implemented and the daunting amount of crafting/craft able items you can/will collect leave many all but ignoring the system all together. Once again done well enough to not have people up in arms about it, but not done nearly well enough to be a selling feature. 4. Storybook ending: this game has a beginning and an ending, credits will come and you will be kicked back out to the main menu. This takes place in a lot of games, Final Fantasy's, Dragon Age Origins, etc, but only when done right do people leave feeling the “story was worth playing”. If you end your game like this you better flippin make the storyline epic and the ending just as epic so that people leave the game going “holy crap that was AWESOME!” or people (regardless of how good the game was up to the ending- look at Mass Effect 3 as an example of that) will be upset. This game was not played for the storyline, or lack thereof, but for the tactical turn based rpg coop experience that it was, and to play it like it was a storybook game was a mistake. Comparing this game to ANY other serious RPG storybook style game will leave you sheepishly shrugging your shoulders- there is not a speck of selling power in this games story. Now, if that is the case, how do you end the game then? Multiple ways in fact, but by far the best way to end the story is by not ending the story. Mass Effect 1 leaves you with an epic cliff hanger as the hero walks off and then the game STARTS OVER AGAIN, with your level, gear, etc, from the previous play through! Now when it is playing the opening credits and they are talking about Shepard, who he is and what he can/will do you get goosebumps and want another go at it while you wait for ME2. Diablo also did this, the game didn’t end, it just restarted with the game moving from normal to nightmare to hell modes and things got progressively more difficult. When your champion that you had brought through nightmare steps into town fully decked out in armor and ready to save the world from hells destruction, it is actually like you are playing the game for the first real time, like the storyline intended- not some half naked unskilled warrior that walked into town on normal. The same could have been done in this game, having the game start over and having your decked out source hunters step off the boat and making every enemy more and more difficult would have made people compare the game to others in that genre vs storybook ending games.